During the Third ESIT Training School in Milan (see below), ESIT Training Coordinator Dr Derek Hoare (University of Nottinham, UK) and ESIT PhD supervisor Dr Rilana Cima (Universiteit Maastricht) had the great opportunity to talk to Hazel Goedhart, Director and Chief Strategist of the international patient non-profit organisation Tinnitus Hub about ESIT and the project state and progress. This video was produced by Tinnitus Hub, a volunteer-based organisation run for tinnitus patients by tinnitus patients, and an official partner in the ESIT research consortium. Tinnitus Hub manages Tinnitus Talk, the largest online support community for tinnitus patients. We'd like to thank Hazel Goedhart and Tinnitus Hub very much for their time and effort put into this interview! The Third ESIT Training School took place at Istituto Mario Negri in Milan from March 25, 2019 to March 29, 2019. Again, this was a time of fruitful learning, exhange and conversation for our PhD students, their supervisors and all others involved. Furthermore, this reunion served as the Midterm Meeting with the responsible EU Project Officer Michaela Bitzakis and the External Expert Helena Caria, who we'd like to thank especially for having joined us and contributing their valuable insights and feedback and sharing their experience. A Supervisory Board Meeting was also held. We'd like to thank the Mario Negri Institute for their hospitality and for everybody having committed impressive efforts! We are already very much looking forward to the 4th ESIT Training School in September! 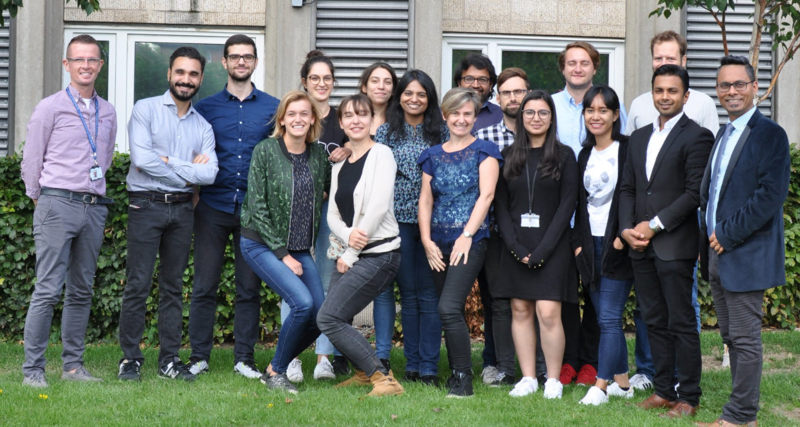 The Second ESIT Training School was held from September 10, 2018 to September 15, 2018 at the University of Nottingham, UK, with an additional event at the 2018 British Tinnitus Association (BTA) Conference in Birmingham where the ESIT students were able to present their projects and recent findings at a well-attended poster session. This was an immensely valuable and insightful experience for everybody involved and we would like to thank all ESRs, trainers, the University of Nottingham and the BTA for making this training possible. Congratulations once again to Muntazir Mehdi, ESIT-PhD-student at the University of Ulm, who's abstract "Towards Automated Smart Mobile Crowdsensing for Tinnitus Research" was accepted for CBMS 2019, The 32nd IEEE CBMS International Symposium on Computer-Based Medical Systems. Eleni Genitsaridi, ESIT PhD candidate at the University of Nottingham, co-authored the article Standardised profiling for tinnitus research: The European School for Interdisciplinary Tinnitus Research Screening Questionnaire (ESIT-SQ) for the March 2019(1) issue of Hearing Research, DOI: 10.1016/j.heares.2019.02.017. Roshni Biswas, ESIT PhD student at Istituto Mario Negri di Ricerche Farmacologiche, co-produced the publication Standardized questions in English for estimating tinnitus prevalence and severity, hearing difficulty and usage of healthcare resources, and their translation into 11 European languages for the February 2019 issue of Hearing Research, DOI: 10.1016/j.heares.2019.02.008. Congratulations to Muntazir Mehdi, ESIT-PhD-student at the University of Ulm, who's abstract was accepted for ACM SAC (SRC), The 34th ACM/SIGAPP Symposium on Applied Computing (SAC '19), DOI: 10.1145/3297280.3297654. Together with supervisor Christopher Cederroth and others, Natalia Trpchevska, ESIT-PhD-student at Karolinska Institutet Stockholm, published an article about Association of Genetic vs Environmental Factors in Swedish Adoptees With Clinically Significant Tinnitus in JAMA Otolaryngology - Head and Neck Surgery January 2019, DOI: 10.1001/jamaoto.2018.3852. 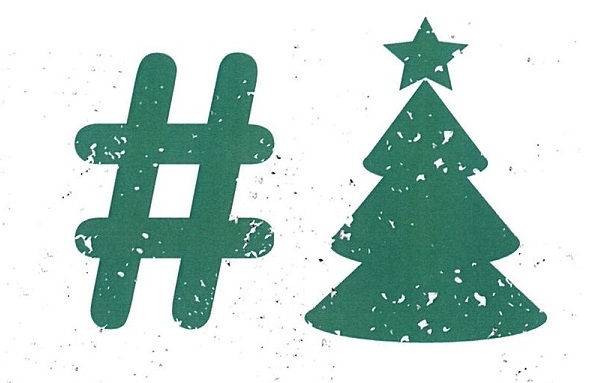 Many thanks to all of you for your support and valuable work over the past year. All the best for the festive season. We wish you a nice and relaxing holidays and a Happy New Year 2019! 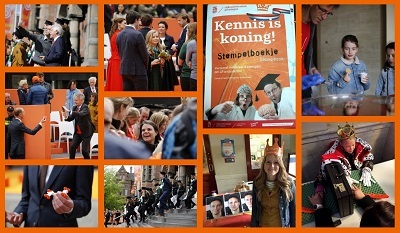 Koningsdag is the national holiday in the kingdom of Netherlands. On this day, the University of Groningen started the "Knowledge is King"-day. José Lopez-Santacruz, our ESIT PhD at Groningen University, participated in an interesting project of the Hoormij to make tinnitus sound hearable for kids. Check out this link to hear different tinnitus sounds and to experience how people with a cochlear implant hear things.